David Haynes, a researcher at City’s Department of Library and Information Science, says Facebook has come in for undue criticism from Parliament’s Intelligence and Security Committee. David Haynes, a researcher in the Centre for Information Science says the recent Parliamentary Intelligence and Security Committee's report into last year's murder of fusilier Lee Rigby contains unduly harsh criticism of internet companies such as Facebook. Prime Minister David Cameron is considering new legislation which will compel social media service providers to monitor and disclose communications from potential terror suspects. The Parliamentary committee has accused Facebook of failing to pass on information that could have potentially saved his life. It was revealed that Michael Adebowale, one of the soldier's killers, used the social media channel to plan the graphic murder five months before the 2013 Woolwich attack, and the exchanges were not revealed to MI5. Haynes, a PhD student studying privacy and social media, says the publication of the Intelligence and Security Committee report on 25th November highlights the problem of balancing national security and the individual right to privacy. Several communication service providers (CSPs) were mentioned in the report including BT, Google, Twitter and Facebook. There was a suggestion that had an unnamed CSP (subsequently identified in the press as Facebook) handed over details of a communication from one of the assailants, the murder of Fusilier Lee Rigby might have been prevented. 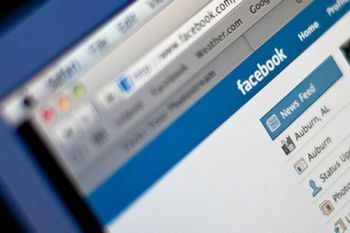 "Is it reasonable to expect Facebook to routinely monitor activity on its network? In common with other providers, Facebook currently has a mechanism that allows users to flag up offensive and potentially illegal material and it is appropriate that it polices its own network in this way. However for it to act as an agent of government and to pass on information is a dangerous precedent. In the UK we saw the counter-productive effects of the Prevention of Terrorism Act during the IRA's bombing campaign in the 1970s and 1980s. Only a tiny minority of arrests under the Act resulted in charges and only a handful of convictions resulted. Some became notorious mis-carriages of justice." "The national press has whipped up a frenzy in their need to find someone to blame for Fusilier Lee Rigby's murder. Those responsible have already been judged and punished. Let's not jump on the bandwagon of punishing the Communications Service Providers because we do not like their tax antics or because of latent anti-Americanism or explicit Islamophobia. The right to privacy is a fundamental human right and being subject to due process of law is a part of the inheritance of citizens in Britain and many other parts of the world." He also says that "monitoring activity on a network by service providers on behalf of government is not particularly effective because there are practical difficulties in correctly identifying threats discriminating between high priority threats and threats with a low risk to public safety." "The high volume of transactions makes it difficult to reliably identify significant threats. The intelligence agencies already have too much information to process efficiently. Using the phone or mail systems for terrorist or criminal conspiracy is illegal, but that does not mean that BT or the Royal Mail have a responsibility to monitor all communications via phone or post. In fact to do so without a warrant is illegal. It is difficult to justify different rules for online media where new technology is considered for some odd reason to be special."